Boko Haram has used kidnapping as a war weapon during its 9-year insurgency claiming at least 20,000 lives and making more than 2 million homeless. 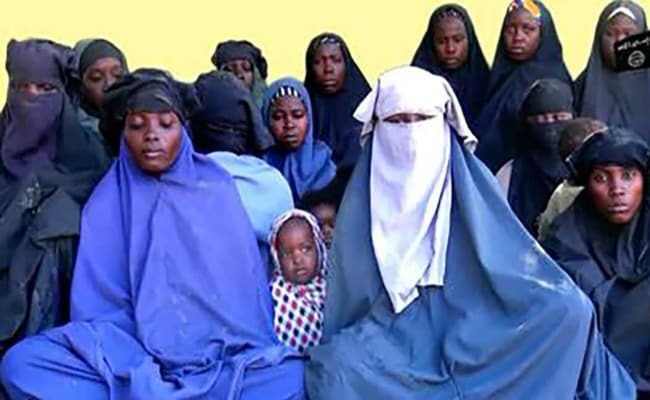 Lagos, Nigeria: Boko Haram Islamists who kidnapped 110 schoolgirls in Dapchi, northeast Nigeria, just over a month ago have returned 76 of the students to the town, the government said on Wednesday. Information Minister Lai Mohammed said the release was "unconditional" and the result of "back-channel efforts" with the help of "some friends of the country", without elaborating. "The 76 are those who have been documented so far," he said, adding that they were released at about 3:00 am (0200 GMT) and that a full head-count was under way. Nigeria's President Muhammadu Buhari said last week the government had "chosen negotiation" to secure the return of the Dapchi girls rather than use military force. Mohammed said: "For the release to work, the government had a clear understanding that violence and confrontation would not be the way out as it could endanger the lives of the girls, hence a non-violent approach was the preferred option. Nigeria's presidency said separately that the girls were in the custody of the country's intelligence agency, the Department of State Services. But she added: "When we were being taken away, five of us died on the way. "They brought us back this morning, dropped us outside the motor park and said we should all go home and not go to the military because they will claim to have rescued us." Parents earlier told AFP that the girls were brought back to Dapchi in nine vehicles at about 8:00 am. Some of the students headed to their homes in surrounding villages. Bashir Manzo, who heads a parents' support group in Dapchi, said: "These girls were not accompanied by any security personnel. "Their abductors brought them, dropped them outside the school and left, without talking to anyone." Parents in the remote town said the girls had been taken for medical check-ups after their ordeal and that security was tight in the town. The Islamic State (IS) group affiliate has not claimed responsibility for the abduction but it is understood that a faction headed by Abu Mus'ab al-Barnawi was behind it. The military rejected the allegation, calling it an "outright falsehood".